Foodland doesn’t always have the greatest prices but their bonus Air Miles deals can sweeten the deal a little. Starting this week, their flyers start on Thursday so shop early for the best selection on this Maple Leaf deal. 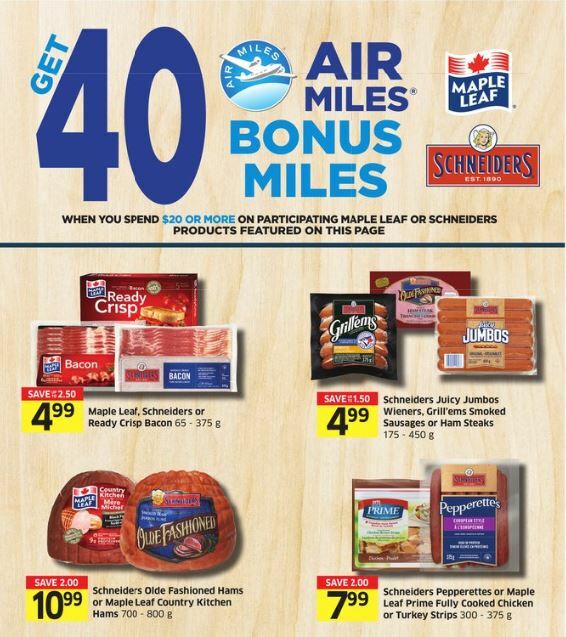 Get 40 Air Miles (worth around $4.20) when you spend $20 or more on select Maple Leaf or Schneiders products. See the flyer for this offer here.